A smart, compulsively readable fantasy romance with echoes of Beauty and the Beast, Greek mythology, and a downright creepy Bluebeard element? Yes please! This unconventional fairy tale will keep you guessing until the last page (no guarantees you won't be reading that page at 1:30am, like I did)! 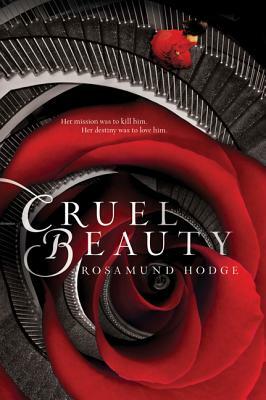 Rosamund Hodge grew up as a homeschooler in Los Angeles, where she spent her time reading everything she could get her hands on, but especially fantasy and mythology. She received a BA in English from the University of Dallas and an MSt in medieval English from Oxford. She now lives in Seattle, Washington, with seven toy cats and a plush Cthulhu. She is the author of the New York Times bestseller Cruel Beauty; Gilded Ashes, a Cruel Beauty novella; Crimson Bound; Bright Smoke, Cold Fire; and Endless Water, Starless Sky. Visit her online at www.rosamundhodge.net.